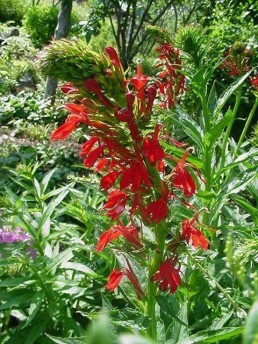 Lobelia’s are not true perennials because the flowering stem and roots die after setting seed. 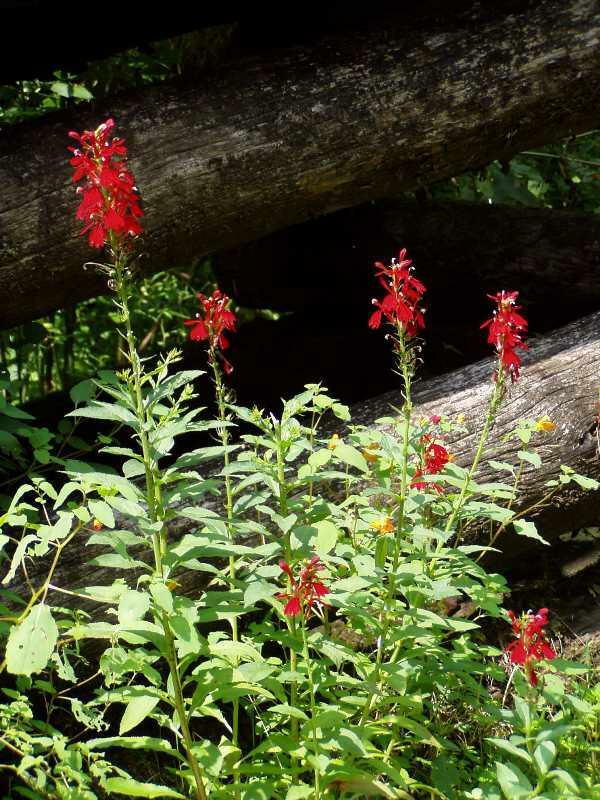 It is however a beautiful wildflower that competes well with sedges and grasses and other wildflowers. 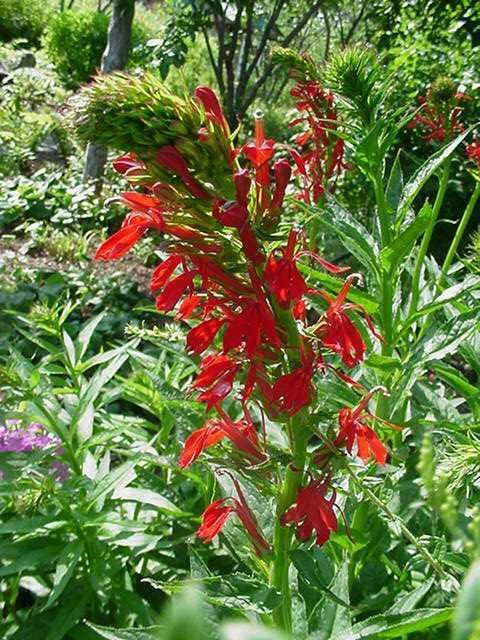 Lobelia cardinalis or cardinal flower grows in moist locations and is clump-forming perennial with large cardinal red flowers in late summer. 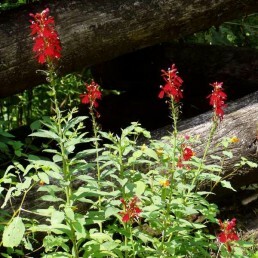 Its flowers are very attractive to butterflies and hummingbirds, but not cardinals. White and rose colored forms are also known.